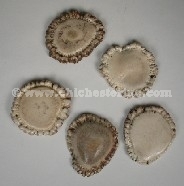 We get a limited supply of rough or polished elk antler crowns, also called burrs and buttons. There is no sealant on the crowns. 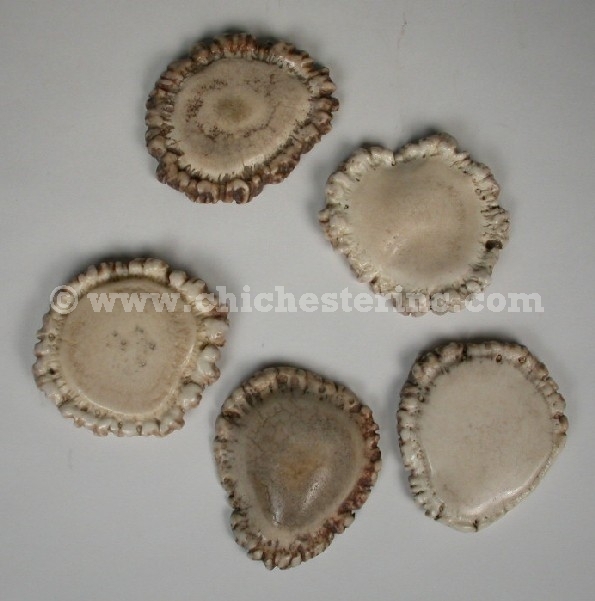 The samples in the picture are all about 2.5" by 3" in diameter and between 1/2" to 3/4" thick. The total weight was 0.62 pounds for the five, giving an average weight of 0.124 pounds each.